Amosun, for supposedly contracting hooligans that assaulted President Muhammadu Buhari and other party leaders at Monday's campaign rally of the gathering in Abeokuta. the APC National Publicity Secretary, Mallam Lanre Issa-Onilu, in a statement on Tuesday said that those responsible for the “premeditated attacks” would be dealt with. The party however said the sanction would be delayed till after the elections. 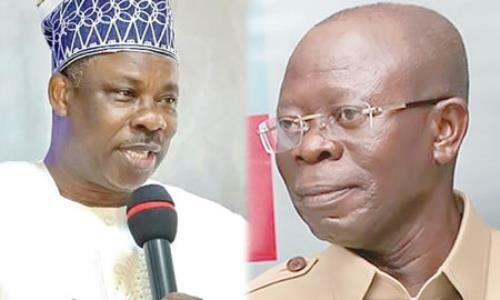 APC said, “The All Progressives Congress (APC) regrets Monday’s premeditated attacks sponsored by Governor Ibikunle Amosun on President Muhammadu Buhari and other senior party leaders at the venue of the presidential campaign rally in Ogun State.